Embrace the All Mother, the being that is transcendent outside of creation and present within creation, to understand why the Female Christ must return to the world. 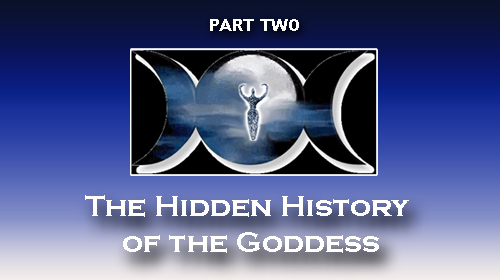 Learn the Goddess stories of Rhiannon, Persephone, Demeter, Hathor, Isis, Nephtys, Ishtar, Yemaya, Saraswati, Kuan Yin, Diana, Brigid, Ceredwyn, and the Lady of the Lake. 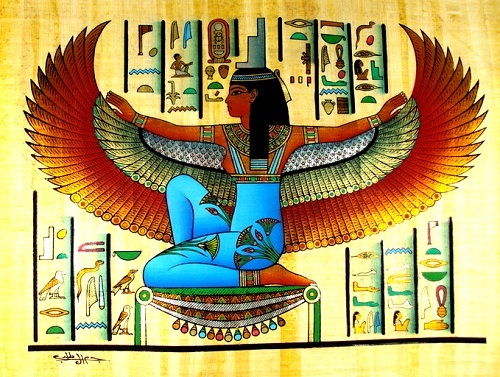 Pull back the Veils of Isis and go beyond the commonly known archetypes for women of the virgin or the whore, and reveal the Goddess archetypes behind them. 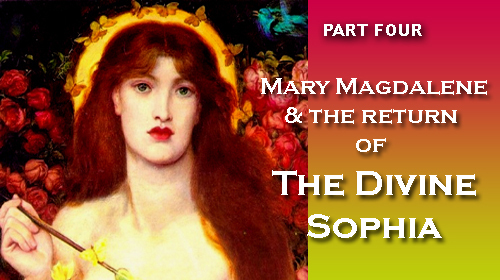 Discover the legacy of Mary Magdalene's life as an Essene, a Priestess of Isis, a wife and mother, and as the leader of the early Gnostic Church. 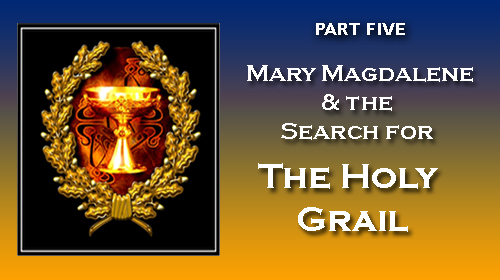 Explore how the legends of the Holy Grail are connected with the stories of Jesus and Mary Magdalene in Britain, the rumors of their lineage, the Knights Templar, the Masons, and the Scottish Knights. Explore the Secret Teachings of Mary Magdalene known as 'The Apostle of the Apostles' and learn the Way of the Chalice, wisdom for you to reclaim your personal mastery. Tricia McCannon is a mystic and a scholar, and she has done the work for you of compiling years of research of the ancient texts, legends, hermetic symbolism, and her own experiences to tell the real story of Mary Magdalene and the Divine Goddess. 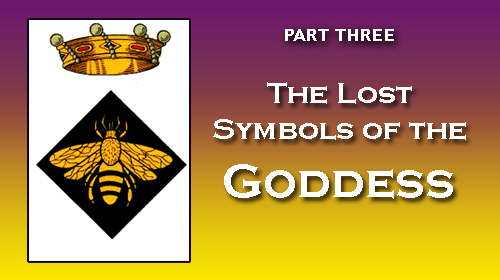 reveals the missing imagery of God-as-Mother that has been lost for millennia. 1000+ illustrations, paintings, and maps detailing the many expressions of the Divine Mother. 100's of riveting and little known historical facts about the honoring of God-as-Mother. Hermetic symbolism and esoteric knowledge of the Great Mother. Deep spiritual wisdom explained. Yes, you will understand what you have always felt! A magical culmination and enriching study of the Divine Feminine! A student of mystery schools, I consider myself blessed to have come across Tricia's course honoring the Divine Feminine through the study and archetype of Mary Magdalene, of who I am a devotee. Tricia is an extremely gifted teacher and deeply knowledgeable about the history and lineage of the Divine Feminine, and puts an astounding amount of information into a format that is very easy to follow and understand. Being a spiritual teacher, and quite particular on the mystery schools I choose to follow, Tricia is now at the top of my 'study' list due to her in-depth expertise, and I look forward to future studies with her. Hello Tricia, This course was nothing short of incredible!! The history, images and your teaching is superb. I love how you hold neutrality and passion at the same time. I loved the book Return of the Divine Sophia. Hope all is well with you and I am looking forward to a trip to southern France at some time. What a great course! So well researched, so much information, yet easy to follow. I know this is information my soul has been wanting me to know for a long time. Highly recommend it! 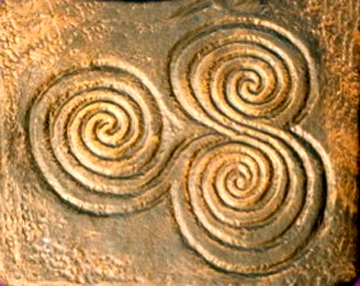 Our ancestors encoded this wisdom into the triune system of the Triple Goddess, once hidden and now revealed within the great spiritual Mysteries! The Great Mother has been known by many names in every culture of the world, and there was once a time in human history when She was thought to be the greatest expression of the Creator. In those ages, men and women lived together in partnership, harmony, and equality, ruling nations and overseeing communities in peace. Our ancestors encoded this wisdom into the triune system of the Triple Goddess, now hidden within the great spiritual Mysteries. We embraced many archetypes for both women and men, allowing us to express ourselves as warriors, artists, healers, teachers, visionaries, and leaders. 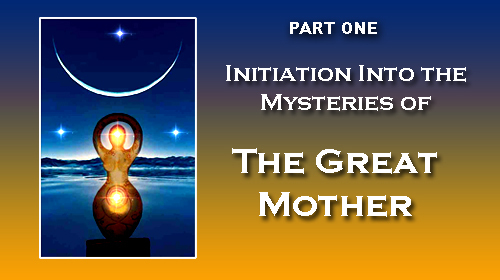 We invite you to take the first steps into the initiation of the Sacred Mother. 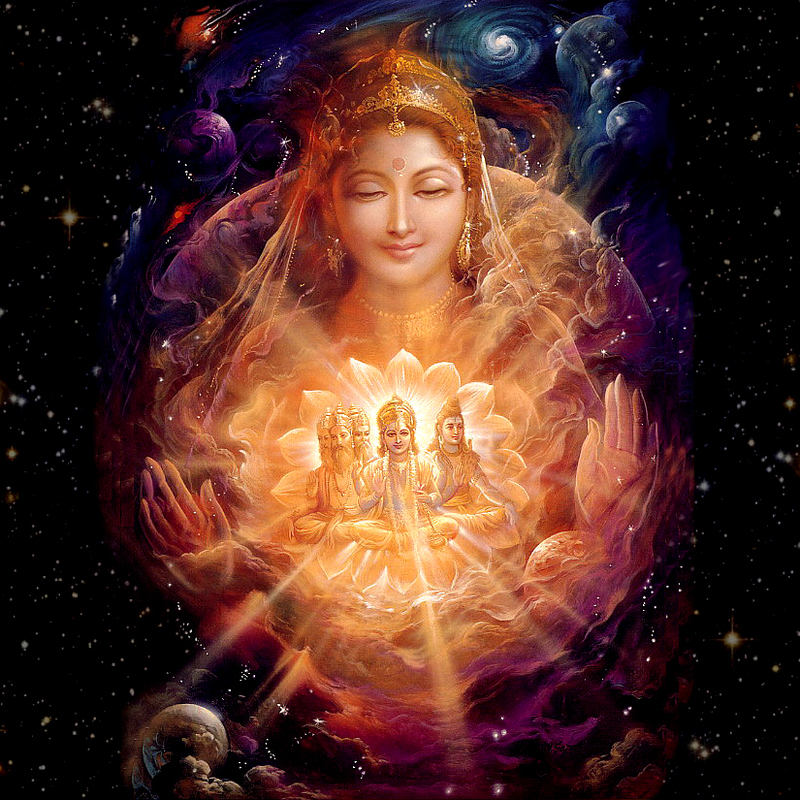 For many thousands of years human beings honored the Creator as the Divine Mother of All. She not only lay outside of creation, but She was also within it. This holistic view of life honored each living being - human, animal, plant or planet, as part of the dance of the Universe, and important to the intricate whole. In this era women had the same rights as men, sexuality was sacred, and communities lived in blessed balance with all living things. This amazing workshop provides us with a walk through history, sharing how the Goddess has been rediscovered in our times, and how Her wisdom has the power to heal our planet. 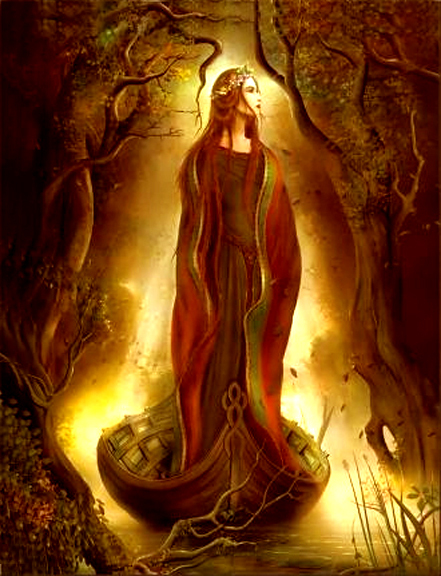 From our ancestors' deep understanding of nature, they chose to encode the wisdom of the Goddess into a language. This language consists of initiatory symbols that hold clues to the multidimensional keys of life acting as activations to awaken a deeper level of awareness. Pull back the Veils of Isis to reveal the Goddess archetypes behind them. These initiatory keys include the Moon, the Bee, the Dove, the Swan, the Owl, the Raven, the Serpent, the Labyrinth, the Tree of Life and the Waters of Life - all symbols that originated with the Divine Mother. Who was Mary Magdalene and what is her real story? 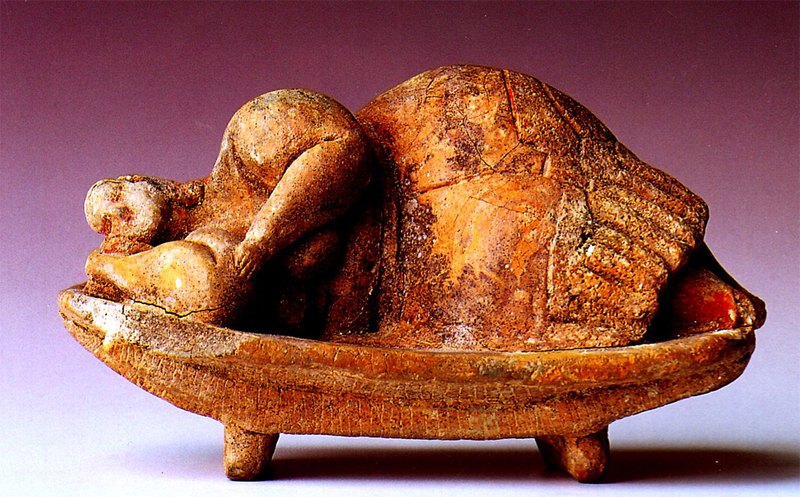 What parts of history have been omitted, and how was she made into a "fallen woman" by the fathers of the early Church nearly 1400 years ago? Jesus called Mary "the Woman Who Knew the All," "the Apostle of Apostles," most beloved of companions. Today many people are reawakening to the deeper Mysteries of Mary Magdalene, who according to the Gospel of Philip, was Jesus' wife and companion. This presentation brings forth the legacy of Mary Magdalene's life as an Essene, a Priestess of Isis, a wife and mother, and as the leader of the early Gnostic Church. For over 1500 years the Legends of King Arthur and the Holy Grail have resonated through human history. But why have they endured? How are these legends connected with the stories of Jesus and Mary Magdalene in Britain, and the rumors of their lineage? How are they linked to the Knights Templar, the Masons and the Scottish Knights? How are they connected to the Quest for the Divine Feminine? Is it possible that the Grail was a Quest to find the true bloodlines of Mary Magdalene and Jesus? Mary and Jesus were joined in teaching a path of wisdom with the power to bring our world back into balance today. This is called the Way of the Chalice, and like the Goddess, it has the power to open our inner senses, activate our creativity, ignite our spiritual gifts, heal our broken relationships, and mend our world. 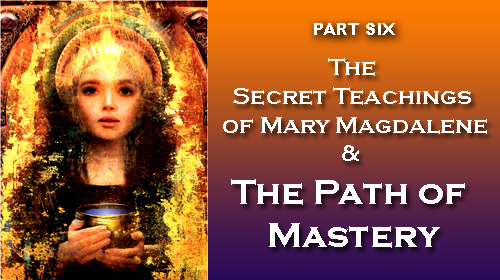 Explore the path of the Goddess, the Magdalene Order, and the gifts that they bring us, as well as the Way of the Chalice, the Path of Mastery once taught by Mary Sophia that will give us the tools to reclaim our personal mastery - a profound and essential step for us as we enter the 21st Century. This powerful workshop takes you on a fascinating journey into the heart of the Sacred Feminine tying together the pieces of a complex puzzle that has been hidden in the symbolism of the Mysteries for centuries. Throughout the ancient world there were many expressions of the Divine Mother. Each of these archetypal goddesses expressed potentialities of love, of power, and of expression that has been largely lost to us today. Tricia McCannon and the Divine Goddesses Await You! Course available for a limited time but once enrolled the materials are yours to keep forever!